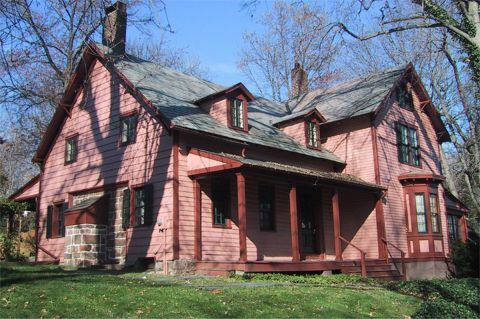 22 November 2004: Author to give Durand book talk at Derby Historical Society meeting, at the Grassy Hill Lodge, 77 Sodum Lane, East Derby CT, 5-7pm. 20 May 2004: Author to receive NGS (National Genealogical Society) book award, Sacramento CA, annual conference and banquet. [See Durand homepage]. 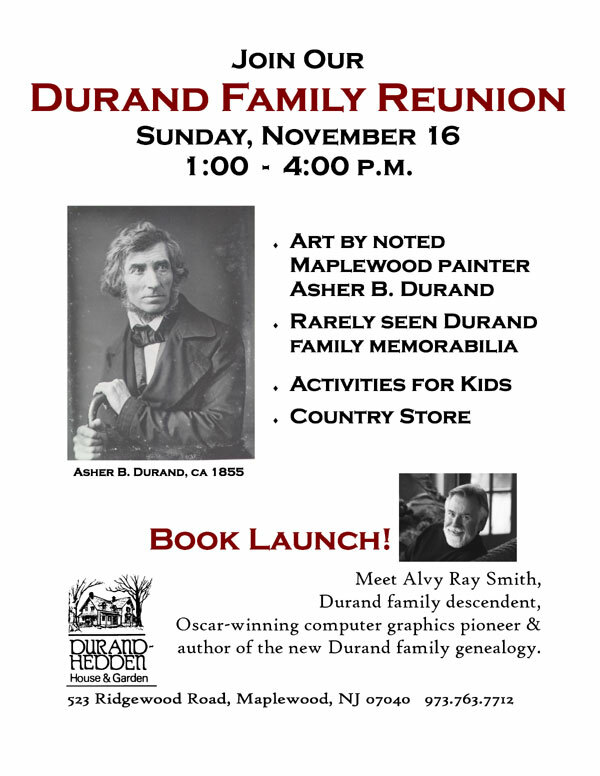 16 November 2003: Author spoke on the Durands and signed copies of his book at the Durand-Hedden House museum devoted to the Durand family of Maplewood, New Jersey. Several Durand descendants were in attendance. 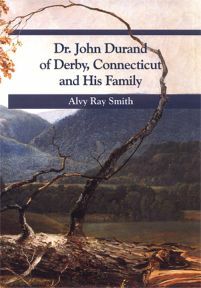 27 October 2003: Author spoke on his Durand genealogy book at NEHGS Board of Trustees meeting, Boston, MA. ABSTRACT. This two-part sequence of articles concentrates on the descendants of Dr. John Durand who found their way to Indiana and influenced Indiana genealogy. ABSTRACT. This article summarizes the various motivations that inspired me to write the Durand genealogy book.